Which cat/kitten(s) are you interested in fostering? We generally would not ask you to foster more than two cats at a time, but we usually have bonded pairs that need fostering. We work to find the cats homes as quickly as possible, but we sometimes ask that they chill with their foster people for a couple weeks up to a couple months—but we are very happy to work around your schedule. Except for you, who else lives in your house hold? Please list (first and last) names, ages and relation to you. What rules & regulations are there on pets in your building? Do you currently have animals in your residence? If so, please describe all the other animals that you care for. 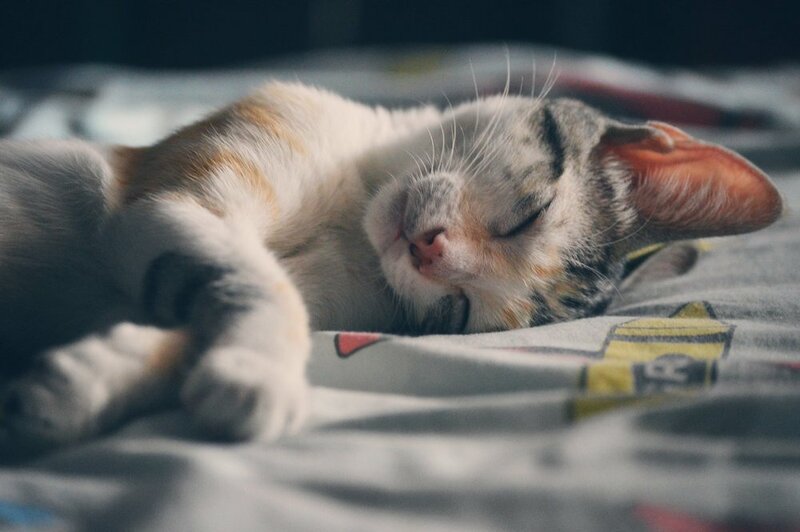 We typically recommend that adopters keep the new cat in a separate room (bathroom, bedroom) if they have other pets or if the adopted cat is timid for at least 2 days, but we might revise the recommendation depending on the pets’ personalities, living arrangements, etc. How many hours are you away from your home on a typical day? For example, if we have determined that the foster cat is not friendly enough for adoption, or the foster cat does not start to approach you or let you approach him after a week or so, would you be willing to do some training with treats, clicker training, etc? We can help with these different strategies. We do not require fosters to help in this way, but certainly love it if they can! This help could involve a range of activities, from letting your friends and coworkers know about your foster cat and raving about him/her on social media to bringing the foster cat to weekend adoption events at pet stores near you—we could help connect you with those events. We work to connect foster homes with friendly, sweet kitties, but even the best of us can be cranky some days. Thank you for applying. We will get back to you ASAP.